LSPS logistics solutions provides tools that allow transportation companies to optimize their complex dispatch management activities to help them make faster decisions that lead to lower costs, higher dispatch process efficiency, better equipment utilization, and a more sustainable eco-balance. The LS/ATN solution reduces transportation costs, increases process efficiencies and improves resource utilization. The Living Systems Transportation Management System (LS/TMS) is an an affordable, easy to deploy TMS designed for small and mid-size road-freight logistics providers that want fast results. Living Systems Adaptive Transportation Networks (LS/ATN) is a comprehensive solution for the dynamic optimization and dispatching of Full and Less Than Truck Load (FTL and LTL) operations. LS/ATN adds tremendous value for medium to large transportation companies that use standard planning tools and transportation management systems but are lacking support for managing and executing short-term deviations from the plan. In the logistics and transportation industry, up to 40% of all actual transactions will typically differ from the plan. Without the ability to optimize and implement plans continuously in the now, crucial KPIs are at the mercy of highly volatile factors: new or changing orders, equipment and operator availability, routing changes due to traffic and weather, and many more. This severely jeopardizes companies' abilities to optimize performance in an extremely competitive industry - on the micro as well as the macro level. With LS/ATN, Whitestein Technologies offers logistics and transportation providers an attractive product that takes variable conditions out of the driver's seat and instead puts clear business goals back behind the wheel. Delivering superior real-time visibility and dispatching decision support for distributed transportation networks, LS/ATN reduces transportation costs, increases process efficiencies and improves resource utilization. The software agent architecture of LS/ATN is capable of supporting an unparalleled breadth of diverse and variable elements such as organizational units, orders, and environment conditions. While these elements' properties change and often even affect each other, LS/ATN dynamically reconciles their abilities to affect the overall outcome. Thus, our solution continuously optimizes performance according to paramount business goals, such as capacity utilization. The Living Systems Transportation Management System (LS/TMS) is an an affordable, lightweight, easy to deploy TMS designed for small and mid-size road-freight logistics providers that want fast results. LS/TMS allows companies to reduce cost by optimizing the utilization of their fleet, increasing process efficiency, and impressing customers with higher service levels. LS/TMS streamlines the dispatching process and supports all essential tasks for consolidating loads and planning least-cost routes. The optional real-time optimization module helps dispatchers deal with order changes or unexpected events and guides them in hectic situations. Administrate orders and private fleet capacities through a clean and simple browser-based interface, providing front office staff with direct access to customer management, order processing, capacities management, billing, and reporting. 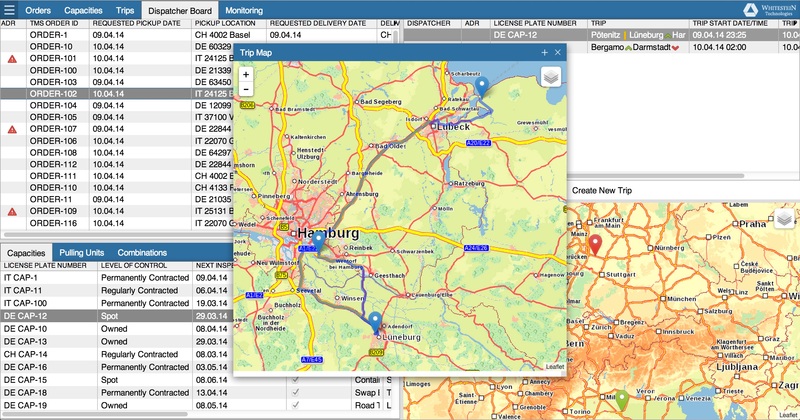 The planning system uses our smart and easy-to-use LS/ATN transportation dispatch software to build and modify moves at any time, assign them to private or leased capacities (spot market and freight exchange interfaces optional), track the progress of moves in execution, and alert in case of deviations. Manage the assignment of loads and routes to private and leased fleets, optionally spanning any number of multimodal capacities. LS/TMS keeps a full record of resource capacities and availabilities, including scheduled vehicle maintenance and drivers' rest periods. The optional Living Systems TMS event management module continuously monitors order and capacity related events. It classifies events according to their potential impact and provides tailored information to affected users and other systems. Keeps a separate track of end-user freight charges and payments made to carriers, managing multiple tariff variations for leased fleet capacities and factors in applicable service agreement differences. Get live visibility on key performance indicators (KPIs) such as cost per metric or capacity utilization. 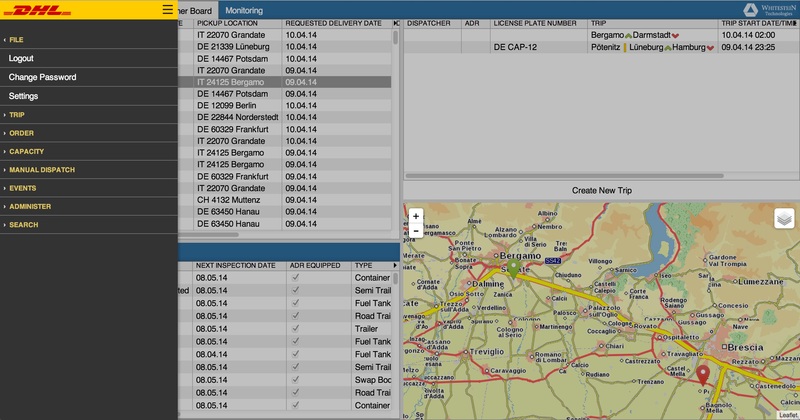 Track current status and historic developments through optional personalized online dashboards and reports. The optional decision support module can propose least-cost sequence of order collections and deliveries for each move, taking advantage of multi-stop, continuous move, and merge-in-transit opportunities. Living Systems TMS works with many Telematics solutions out-of-the-box, including FleetBoard, Funkwerk eurotelematik, OHB Teledata, and Transics.